Lice seems to be an almost rite of passage for kids and going back to school. And just because we home school it does not mean that we are immune from it. Play dates and social outings can expose my kids just as easily as sitting next to someone in a classroom. Lice Shield is looking to change all of that. The brilliance of Life Shield is not that it treats an infestation of lice but it actually helps to repel lice and can help to prevent your family from getting lice. Lice Shield contains natural essential oil extracts of: Citronella, Geraniol, Rosemary and Lemongrass. It is gentle enough to be used everyday instead of your normal shampoo and conditioner. At the end of the day there is nothing simpler. At the first sign of an outbreak, you know that dreaded note that comes home from school? Start using Life Shield for 2 weeks. 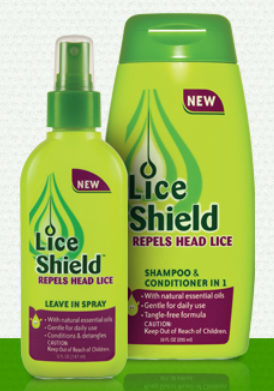 Regular use will reduce the likelihood your child will contract head lice when there is an outbreak. But they are not stopping there. Lice Shield has a new app on Facebook called Lice Watch. 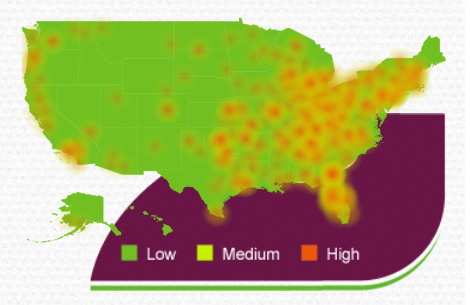 You can report new outbreaks of lice in your area and keep an eye on the app to see if your area has a low, medium, or high outbreak ranking. With Lice Watch and Lice Shield you can help to dramatically decrease your child’s chances of getting lice. Lice Shield products are available across the country in stores such as Walgreens, CVS, Walmart, HyVee, Winn Dixie, and more.